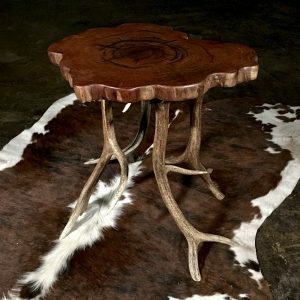 Burl wood accent table features an elegant metal base with a roundish redwood burl wood slab top. 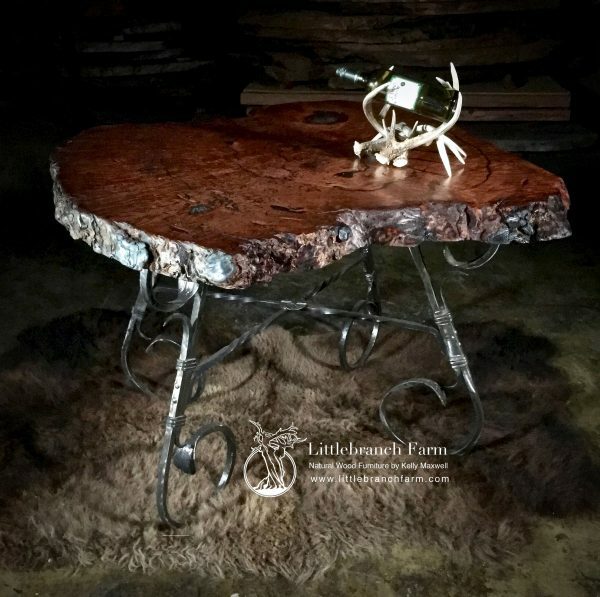 The base has elegant scrolls forged by our blacksmith. He uses old world techniques such as heating hammering and bending. Unlike the current trend to drop forge. 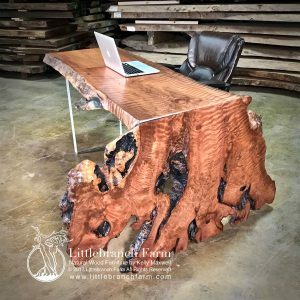 We work closely to design and build elegant natural wood furniture by blending live edge wood and forged steel. This marriage produces breathtaking rustic dining table, console tables, and rustic bathroom vanities. 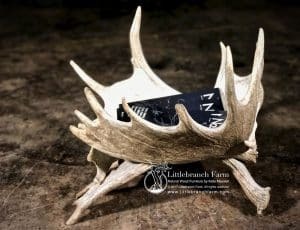 Whether a rustic home decor, modern or contemporary we have the furniture designs. 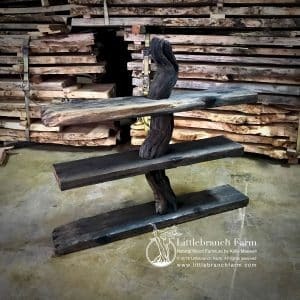 Also, we welcome the opportunity to design and build custom furniture to meet your needs. Please email or call but if you are in the Nashville, TN visit the studio.